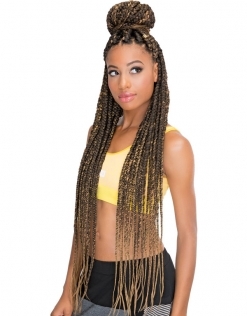 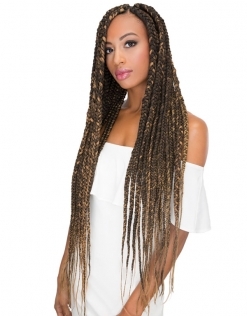 EZ Braids are a faster and more convenient way to install braiding hair. 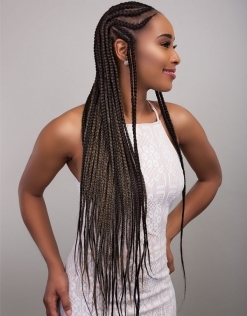 Just as the name describes, EZ Braids is easier because the hair is pre-stretched and feathered to save you time. 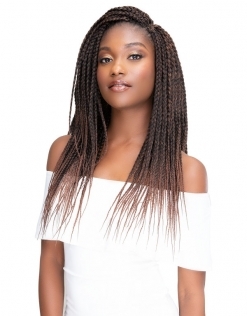 EZ Braiding hair has layered ends and a yaky texture to blend seamlessly with your natural hair. 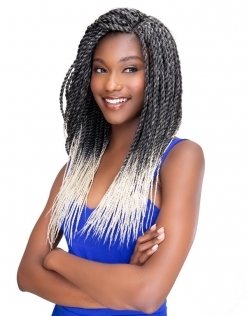 Featuring heat resistant fibers, this hair can be hot water sealed or curled.